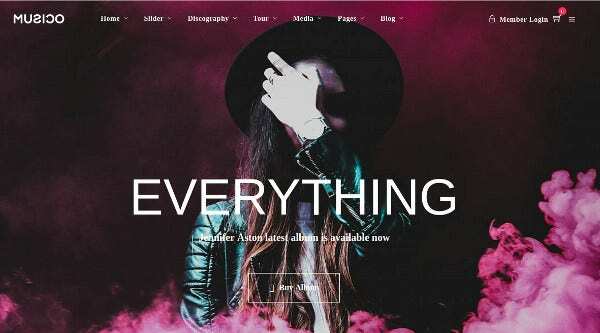 If you want to create some powerful and aesthetically-pleasing musical websites, get hold of some of our most impressive music WordPress themes. They are based on the latest trends of the year and are fully customizable to give that flexible and astonishing look to your musical business. 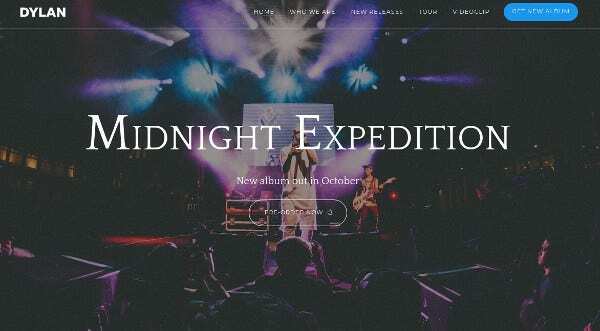 So, lets preview some of the best musical WordPress themes of 2019. 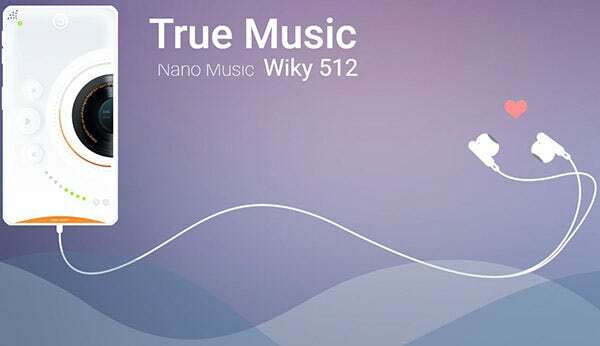 Nano-Music Player is a single product mobile application Musical WordPress theme. 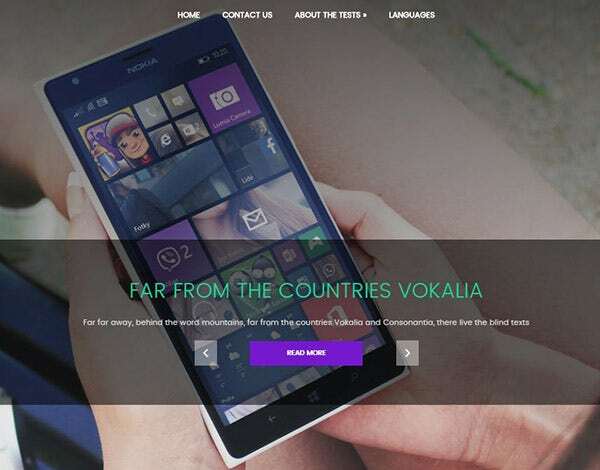 The theme has a user-friendly interface and is equipped with powerful graphics and UI elements. It has a free Revolution slider and SEO-friendly code. Its interactive animation effects and Google fonts make it all the more exclusive. 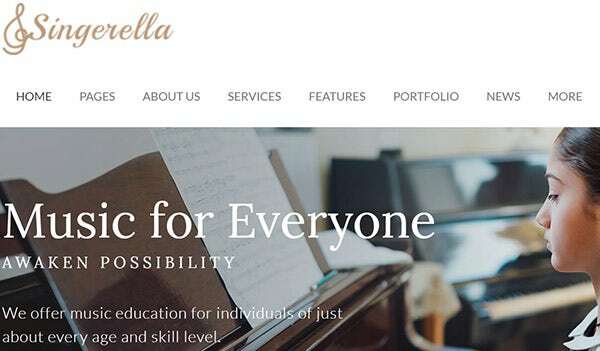 Singerella is a music school WordPress theme. It is highly customizable with a no-coding feature. It has 15 different topical images suitable for particular themes and multiple header and footer layouts. The JetElements feature helps you to include posts, sliders, and brands into your webpage with equal ease. 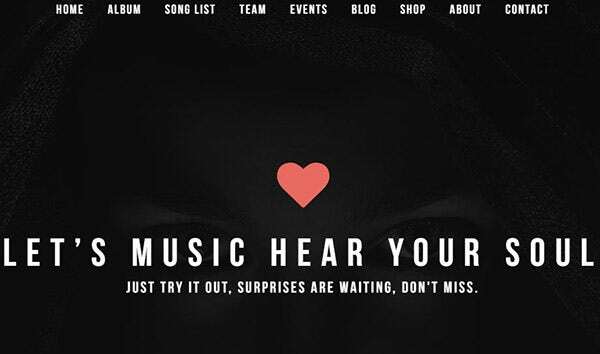 Let your fans enjoy your music through the customized playlist and music player of Musico – A music WordPress theme. There are more than 8 discography layouts and 20 creative slider layouts that shows the contents of the page. Get hold of the 5 tour layouts which will display your upcoming tours. 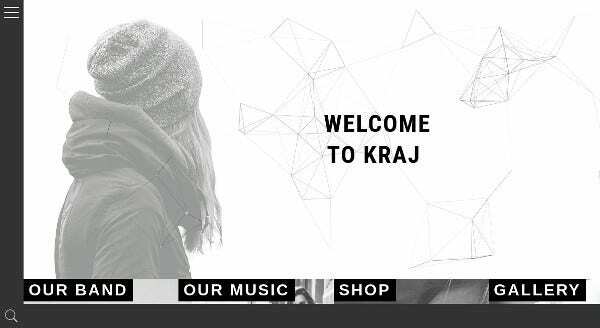 Kraj is a WordPress theme for musical bands and musicians. It is fully responsive and promises maximum performance with CSS3 animations and fully optimized music templates. It is integrated with ecommerce platforms like Shopify, OpenCart, and WooCommerce to name a few. 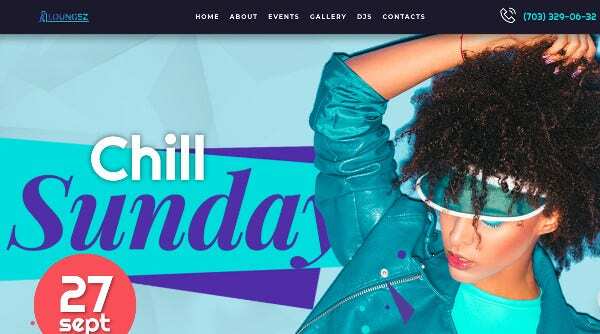 Premix Artist WordPress theme will help you to manage your upcoming events, bands, artists portfolio, and nightclub events. The interface is extremely tech-savvy and can be easily downloaded into your mobile phones, tablets, and PCs. It has two homepage variations, black and white. It comes with a WooCommerce plugin system and unlimited Google fonts, so it is a dependable and funky Woocommerce powered WP template also. It is WPML compatible and has a built-in backup system. Singer is a highly responsive music WordPress theme. It is WPML-ready and is multilingual. It is very easy to use with a 2-step installation process. Share your music images through sliders and get free updates. Custom widgets allow social sharing and comment section. Dylan is a fully-responsive WordPress theme with more than 20 different homepages. The Visual Composer is absolutely free and you can build impressive power-packed portfolios for your music. It has more than 650 Google fonts and 250+ Retina icons. The Retina-ready screen provides a huge pixel density perfect for your music videos. 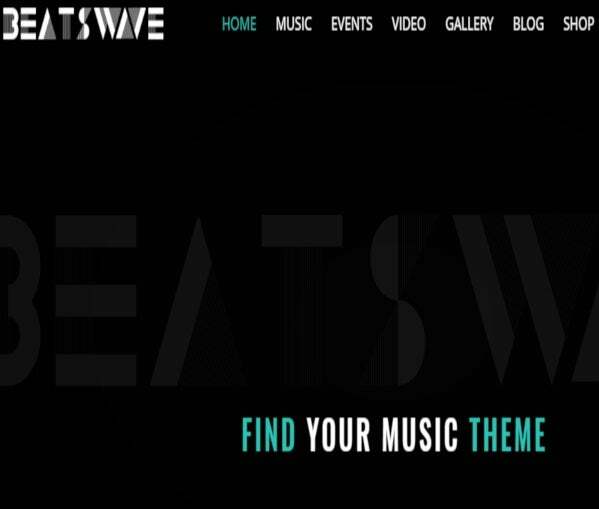 Beatswave is the perfect choice for managing your music audios, artists, bands and albums. It has four designed template versions and a very easy-to-use interface with plugin features. It supports different social networks and theme settings. 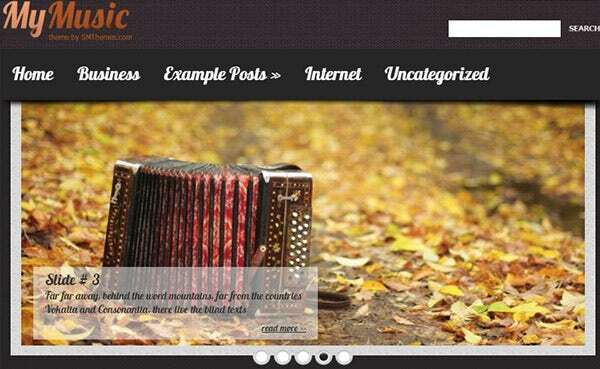 If you want to create a musical blog theme there is a different layout setting for that too. The extremely creative layout comes with full-screen background and photo album feature. 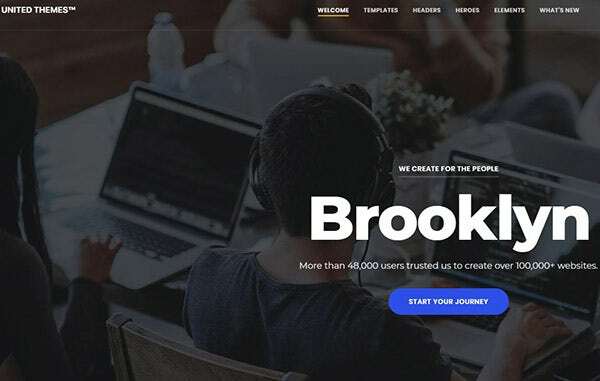 It is easy to build your website through the Brooklyn SEO-optimized WordPress theme. It does not require any coding language and the setup is really easy just with a single click. Create beautiful pages with Slider Revolution and Drag & Drop feature. There are 10 different Hero caption styles and CSS3 animations that produce professional page layouts. Loungez Musical WordPress theme will help you to build the eye-catchy nightclub website. 24/7 customer support will resolve all your problems. It is SEO-friendly theme and comes with attractive Google fonts. It is well-documented and comes with some highly functional plugins. 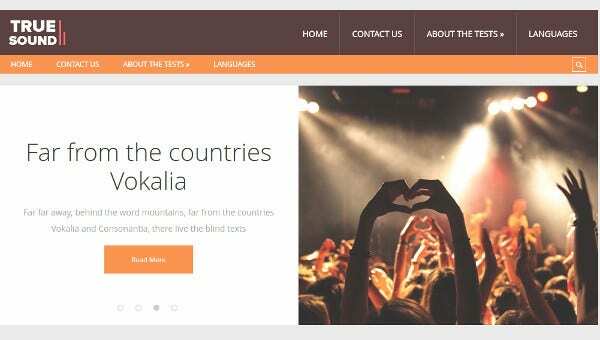 Musika built in with HTML5 and CSS3 features is a modern-day WordPress theme for musical bands, sites, and personal music blogs. It has 5 versatile homepage designs and 2 blog styles that will create the perfect musical video, tour and event webpages. It supports multiple browsers like Chrome, Firefox, and Safari. 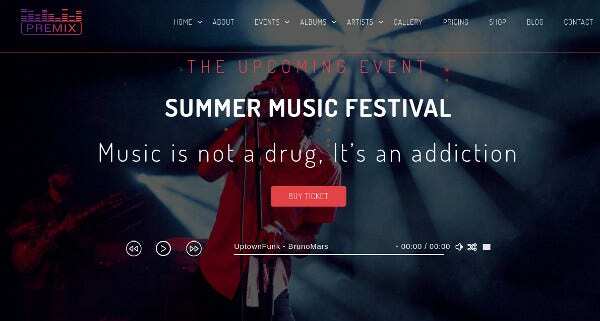 Pendulum is the perfect WordPress theme for your musical website. It is based on SMT Framework 2.0 and is WooCommerce supported. The Dynamic Content Loader allows page viewing with repetitive loading. An adaptive layout best for mobile and tablet systems. Multicolor posts keep visitors logged in to the sites. 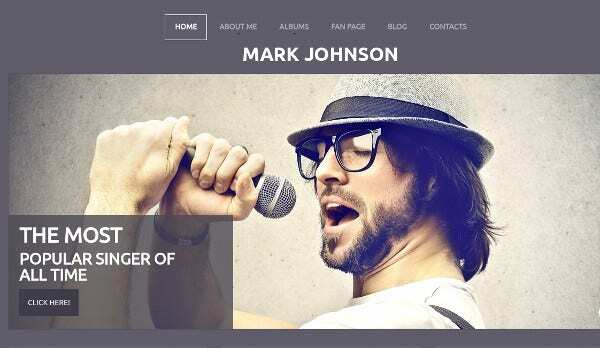 Musical WordPress theme is a beautifully customized musical website for musicians, music bloggers, bands and DJs. Its one-click installation will allow you to get started in no time. It is 100% free and adapts to all screen sizes and doesn’t disrupt the image flow. It has a minimalistic design that results in maximum viewer satisfaction. 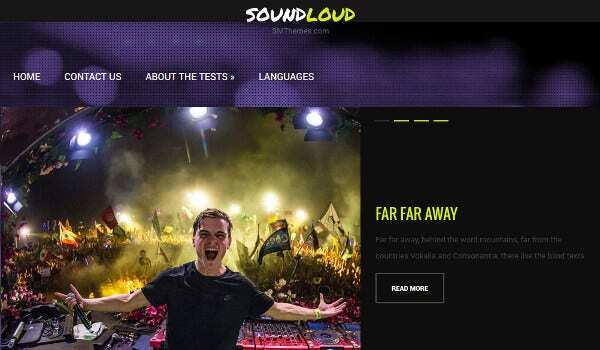 SoundLoud is a beautiful WordPress theme for your musical website with a deep purple background and yellow highlights. The SEO-optimized professional look is compatible with the latest WordPress versions. The Custom Menus are easy to navigate and advanced editor versions give editorial touches to your original posts. Do you want to sell musical instruments, accessories or musical records? 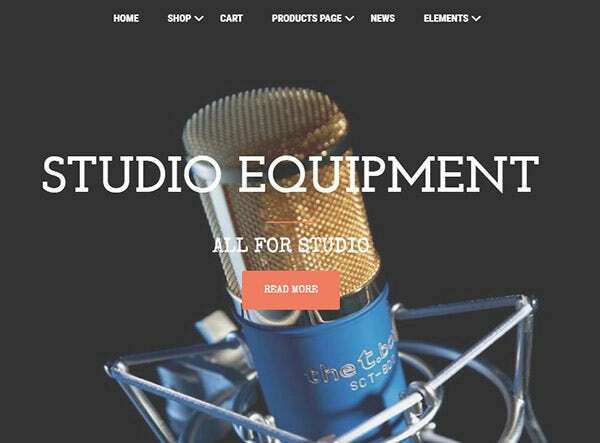 Then M-Store is the perfect WordPress theme for you. The mobile-ready design is fully equipped with Google fonts and full-screen slideshow to give that ultimate look to your blog posts. 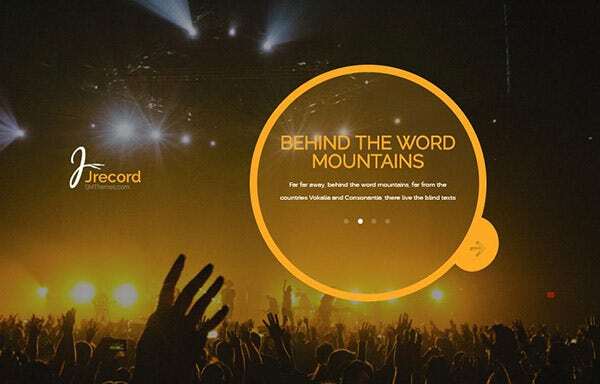 JRecord is the ultimate WordPress theme to give you that recording studio feels right at your home. The free WordPress theme can be installed within minutes and comes with a Dynamic Content Loader. The Social bar allows your ardent readers to share your posts and articles. The Translation feature allows your webpage to be translated into any language. 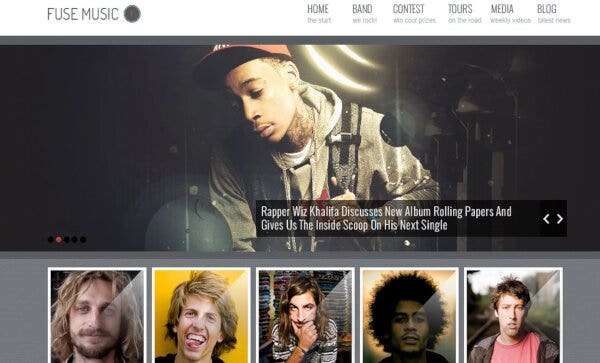 Fuse Music WordPress theme is for aspiring musicians, bands and individuals who want to start a musical blog or create a portfolio for their bands and musicians. The social media plugin allows you to associate with the social media networks of your bands and musicians. 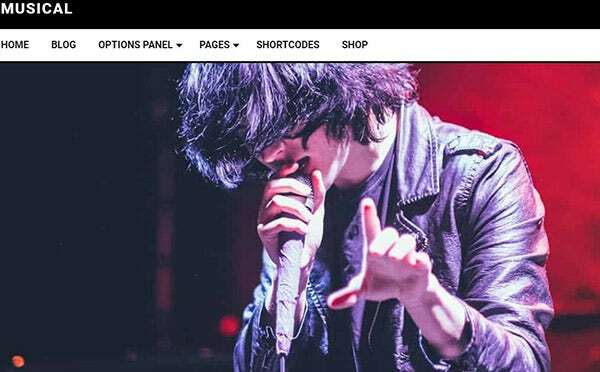 MyMusic is a premium WordPress theme creatively designed to give you that unique musical experience. It is loaded with features like Custom widgets, sliders, feedback forms, and social share bar that makes it a highly recommended WordPress theme. So, download the free version now. TrueSound is a free music WordPress theme and comes in beautiful warm colors to give that perfect look to your musical blog. There are Custom sidebars for your page layout and supports forum access. For more features, you can opt for the paid versions any time. RushMore is a Shortcodes-ready WordPress theme and can be easily downloaded and installed. The adaptive layout is suitable for all mobile and tablet gadgets. It is anti-spam protected and secures all your themes from hackers. The multilingual and whole webpage can be translated into any language. 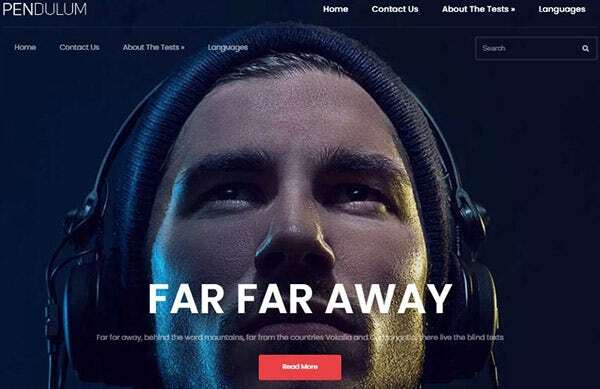 LT Recoric is a musical WordPress theme for musical websites. The mobile-friendly app is highly responsive and works well in Androids and desktop devices. It comes with 4 color schemes and box layouts and is supported by WooCommerce. The Color picker tools give you access to numerous beautiful color combinations. The WordPress themes are easy to use and are fully customizable to your requirements. 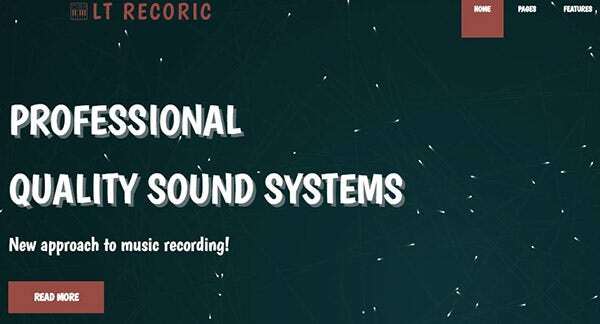 They are easy to install and will give your audiences that perfect musical experience they are looking for.